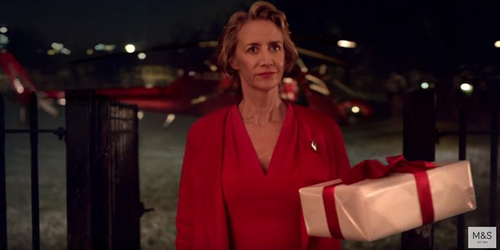 Is This The Most Heartbreaking Christmas Advert Of All Time? We've seem our fair share of touching advertisements this festive season. But one sits head and shoulders above the rest. 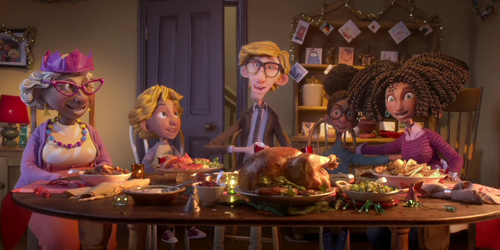 The worthy charity have used the magical season to bring us a very serious message about the debilitating disease, told by the help of animation and a little girl named Freya. Freya's dad explains to her how Father Christmas is no longer able to deliver toys to all the children around the world on Christmas Eve, as he sufferers from dementia. Devastated by the story the feisty little girl believes something can be done to fix Santa Claus and sets off on a journey to the North Pole to teach the elves that if they do some research into the illness, the might be able to help fix their leader. The video, voiced by the iconic Stephen Fry, seriously pulls at the heartstrings as it tells us that Alzheimer's disease is the most common cause of dementia and can affect absolutely anyone. However, it also reminds us that the best preventative measure is research and you can help with funding that. In amongst all the high street brands using Christmas to market their goods, this ad is touching reminder that the true meaning of Christmas is giving. 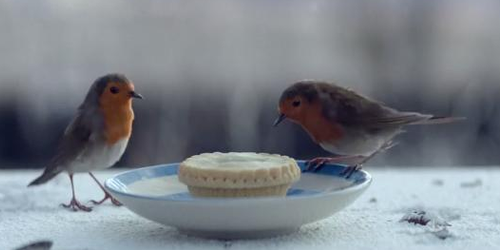 The clever people at Waitrose have created a beautiful festive treat this year, in the form of two little robin's journeys to be reunited on Christmas day. The adorable little birds battle through wind and rain in their attempts to make it home to a little country garden and tuck into a mince pie. 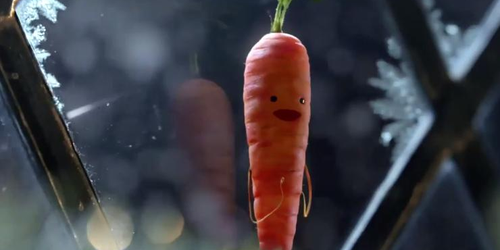 Carrots are cute. There are no two ways about it. Follow one particularly sweet little orange vegetable on his quest to meet Santa Claus this Christmas. When little six-year-old (nearly 7!) Jake, accidentally winds up his big sister Anna time after time throughout the year, he knows it's going to take a really special gesture to get her back on side and cheer her up again. Jake's solution? Writing to Mrs Claus of course! All set for a quiet night in, whilst her husband flies around the world delivering presents on Christmas Eve, Mrs Claus can't ignore little Jake's pleas she receives his letter. Jumping in her helicopter, she flies out of the North Pole to England to save the day! This year the supermarket giant has paired up with Great Ormond Street Hospital for children to create a musical number, sung by none other than James Corden himself, which will both pull at your heart strings and have you singing along. The animation tells the story of Dave, a hard-working and devoted dad, who realises that the greatest gift he can give people this Christmas is his time. As the first snow falls, we find Dave caught up in the Christmas whirlwind – all he wants to do is to get home to spend time with his family, but all sorts of Christmas duties and calamities are getting in his way. 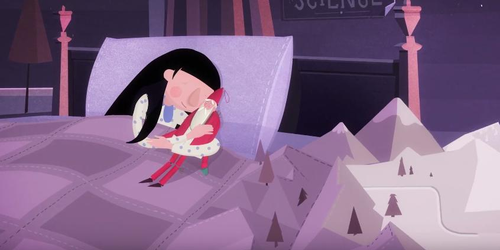 The animation is directed by Chris Fell, who was behind BAFTA-nominated Flushed Away, and is a charming tale of the importance of sharing the gift of time with loved one. Among new entries in the battle for best yuletide advert is Boots, whose heart-warming new campaign is set to have the nation weeping as they give a nod to the everyday heroes who are forced to work on Christmas Day. In a bid to appeal to the public's heartstrings, the short clip focuses on paramedics, firefighters and other hard-working staff who don't get the luxury of clocking off on Christmas Day. The advert, which feature Kylie Minogue singing on the soundtrack, informs viewers that 500,000 women in the UK have to make their way into work on turkey day, and chose a lucky few to receive a glamorous makeover. Each woman is transformed from their work uniforms into seasonal sirens as they're reunited with their friends and loved ones.